Welcome to Omaha! It’s an amazing city filled with equally amazing restaurants. Whether you’re in town for an event like the College World Series or just passing through, you’ll find something for everyone to enjoy. Since you’ll need some recommendations of where to eat, here are local favorite Omaha restaurants along with some best dishes. 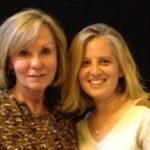 This foodie TravelingMom knows the town well. Enjoy! Dante Ristorante Pizzeria. Photo credit Dante Ristorante. Now that you have traveled all the way to Omaha to visit family or friends, support your college baseball team at the College World Series, or are just passing through, it is time to enjoy my city. 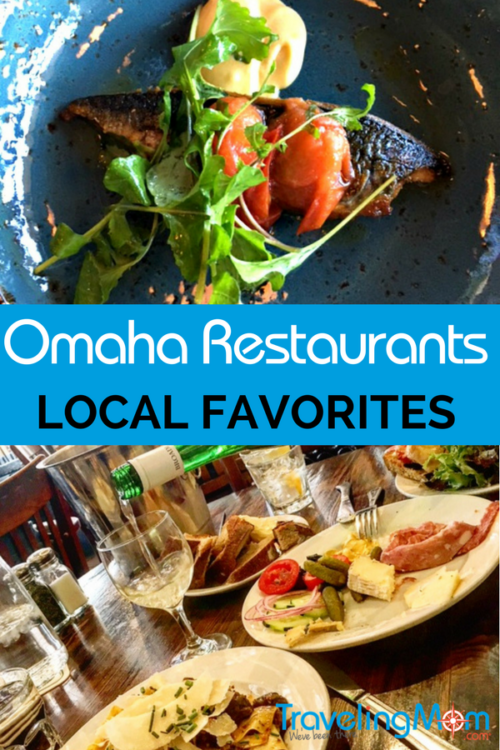 As a true foodie and resident of the Old Market area in Omaha, Nebraska, I want to share with you my favorite Omaha restaurants. Make reservations at V.Mertz. Located downstairs in the Old Market Passage Way, V.Mertz is an Omaha classic. The GM is an advanced sommelier and we trust him with all of our wine needs. He believes that it’s not about what he likes, but learning our tastes through conversation. V.Mertz restaurant in Omaha. Photo credit The Old Market. The food is a special treat, so plan on spending some time eating your way down the menu. The small plates are perfect for sharing to have a few tastes, but I suggest no matter what, you start with the charcuterie. Made in-house, each part of this dish is a special bite. We eat here a lot, so we always pick something new on the menu. That said, it’s hard not to love the classic peppercorn steak. But, if you want a special treat, just order the tasting menu and let Chef Jake take care of you. The food is made with the finest ingredients and I suggest you always say yes to dessert, like a Candy Bar. Hit The Diner at the corner of 12th and Harney. If you don’t see it, keep walking. It’s set on the south corner. And yes, they have mimosas! The owners Rick or Ken are so much fun. When I need to know anything about anything or just need a break, you can find me at the counter having breakfast or lunch. You can order whatever you want for breakfast, BUT, make sure you get a side of their special bacon. Let’s just say maple syrup is involved. And, don’t forget some biscuits for the table. Ricky makes the best biscuits. Oh, and the Green Chili is a must for everyone to enjoy with their eggs. Located outside of the Old Market at 168th and Center, Dante’s is a true treat. 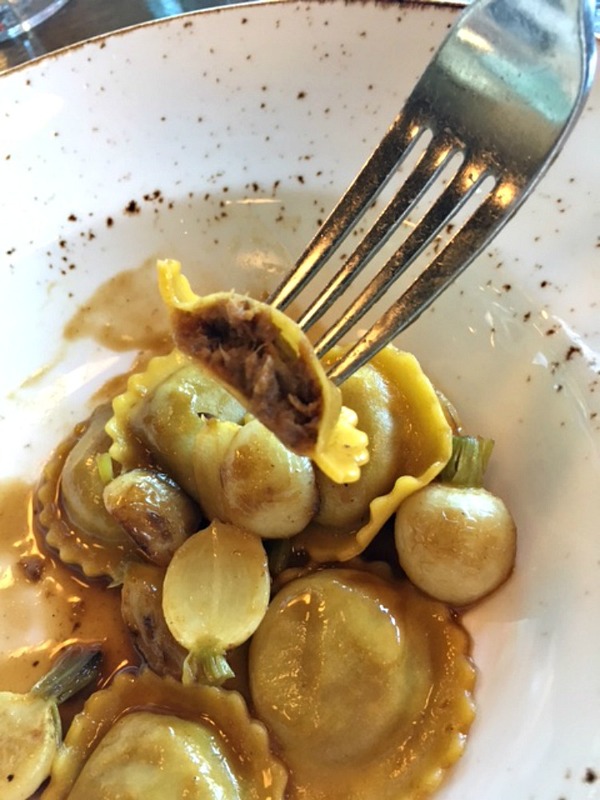 Chef/Owner Nick Strawhecker and his team prepare a menu with locally sourced ingredients, house made pasta, and fish straight from the boat. 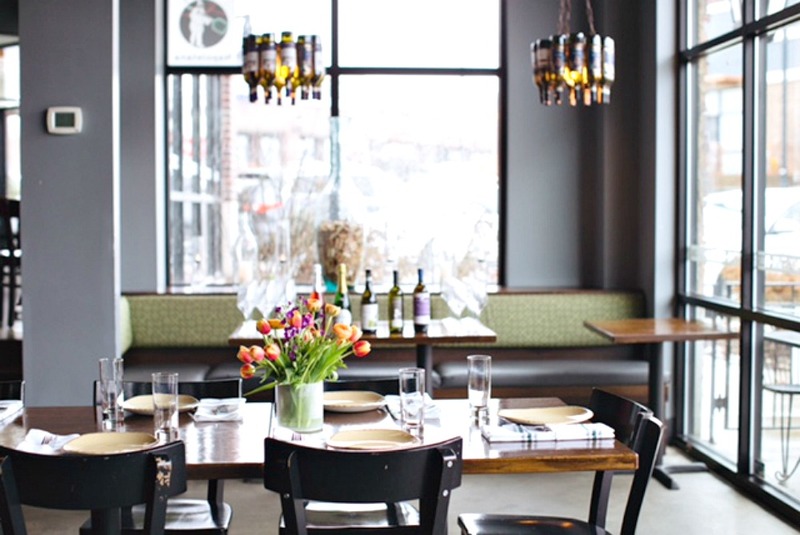 Dante Ristorante Pizzeria is Omaha’s leading Italian restaurant that focuses on sustainability. Yes, there is authentic wood-fired pizza, but they are way more than just pizza. Dante Ristorante Pizzeria wild boar ravioli. 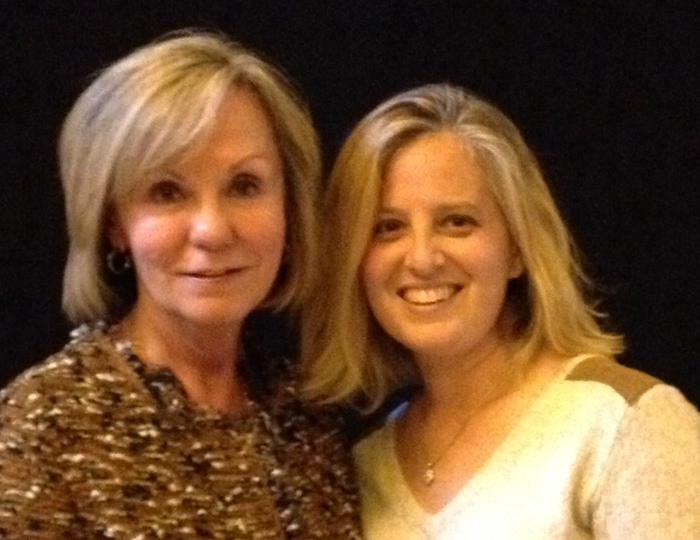 Photo credit Dana Zucker, Luxe Traveling Mom. Dante is an authentic farm-to-table, ingredient-driven restaurant where the ingredients’ true flavors shine. On my last visit, I had two favorite dishes; the wild boar ravioli and the house made Raspberry Gelato, Lavender, and Crushed Biscotti. I literally took my finger and cleaned the bowl. The menu is always changing and although the above was delicious, I guarantee you the menu items will be just as delicious when you visit. Hiro 88 serves classic Chinese dishes with a very clean taste. Everything is fresh and cooked so to perfection, not all over done. The sushi menu is extensive and the small plates have many newly added items that we are working our way through. Make sure you try one of their specialty drinks that the owner Charlie and his staff created. Hiro is located at Jackson St and 14th in the JLofts building. 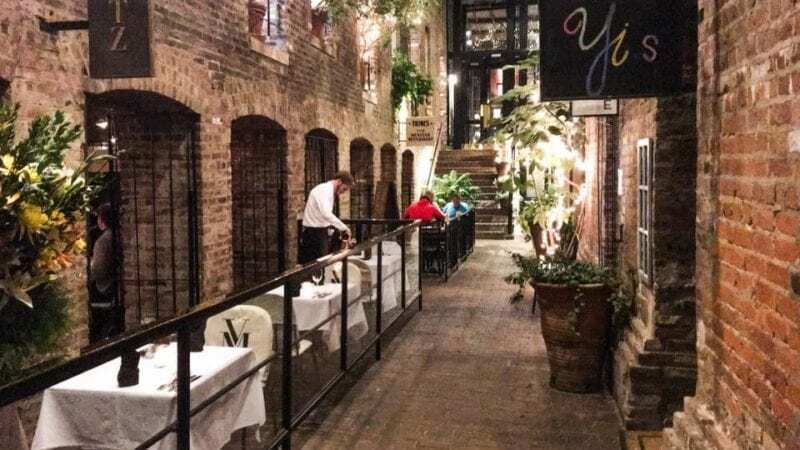 You can also step across the street from Hiro’s in the Old Market to my favorite patio in town. Nicola’s serves traditional Italian from recipes that have been in the family for years. I love the classics like meatballs and spaghetti, while my hubby always enjoys puttanesca or the chicken and veggies. Just make sure you leave room for dessert. Nicola, the owner, is a wonderful dessert specialist. If you need a bakery break, head over to the owners, John and Nicola’s bakery in Council Bluffs, right across the river at 805 South Main Street. Sleep in a bit on Sunday, but not too much, because you don’t want to miss brunch at the Kitchen Table. Long one of my favorites, no matter what time of day, yet the brunch takes the cake, even if it is a pancake. Don’t think too hard when you get there; stick to the 1-2-3 menu. Grits with poached eggs at Kitchen Table in Omaha. Photo credit Dana Zucker, Luxe Traveling Mom. You will start with their homemade bread with butter and jam or something of the likes. Then, for the next two courses, you pick one out of each section. For two, we choose a yogurt or rice cereal. I get one and hubby gets the other and we share. 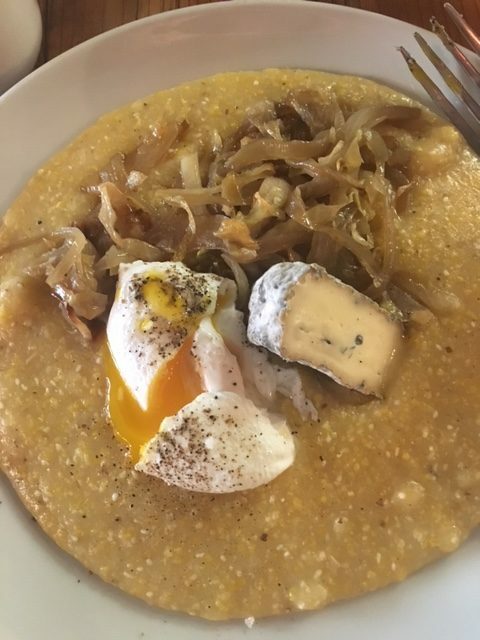 Three is the easiest for me: grits with poached eggs no matter what else is on them. You can also choose between the breakfast sandwich, pancakes, and more. Please say hi to the owners, Colin and Jessica, for us. And do not miss lunch or dinner there. I always just get the special. Hook and Lime is a new restaurant to Omaha, but we are just in love with it. Located a block from the stadium, Hook and Lime is serving up Mexican like no other. Owner Robert Malm is bringing fresh and delicious ingredients in-house for his chefs to make unique twists on classics. Most everything is house made and the menu varies daily a bit. 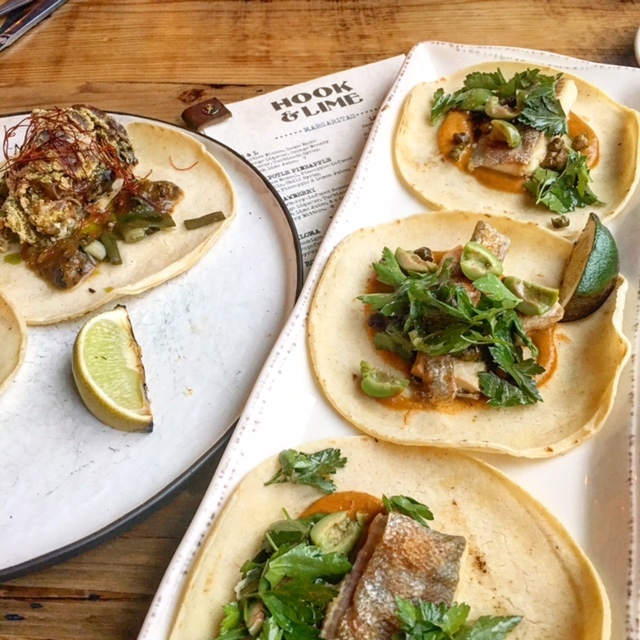 Our favorite tacos at Hook and Lime in Omaha. Photo credit Dana Zucker, Luxe Traveling Mom. Last week, we enjoyed starting with the guaclome and chips, shared two types of tacos, the smoked trout which were amazing and the soft shell crab, a re-order for us every time we are there. For dessert, the churros are our favorite with tequila-infused chocolate to dip them in. And, oh, don’t forget the tequila…. 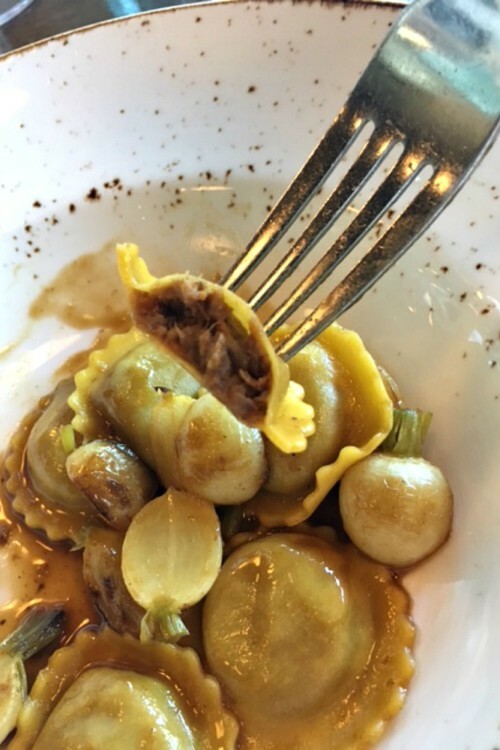 So, La Buvette is that place you pick a bottle of wine, sit down at a table, and soon after, a member of the team will come and open your bottle, bring you a menu, and you will sit back and enjoy a meal. It is a neighborhood hangout, yet you feel as if you are in Europe. 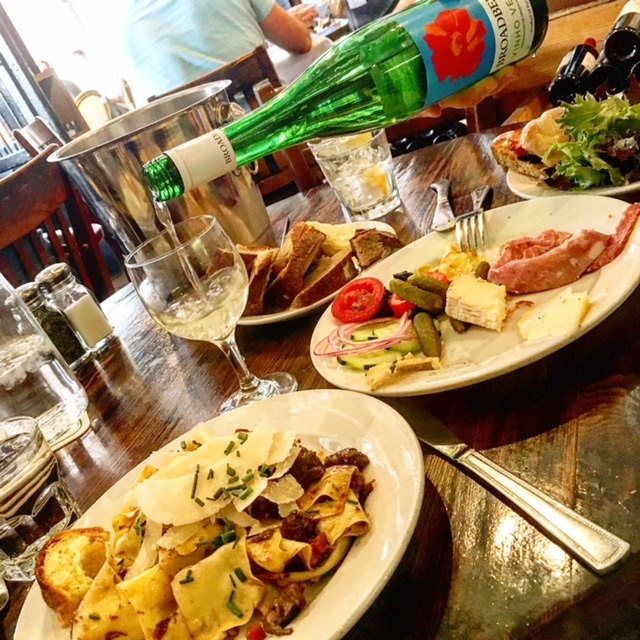 Everything is scratch-cooked and the French-inspired menu changes daily. A bottle of wine and a meat and cheese platter at La Buvette in Omaha. Phot credit Dana Zucker, Luxe Traveling Mom. We always start with a meat and cheese plate and then decide later what we want to eat. There are no reservations and it can be busy, but that’s okay. Do what we do…grab and bottle of wine, buy a loaf of bread and some cheese, and enjoy it in the park or at your hotel. If you see a woman standing there waiting for the wait staff to see me and take money for my bread and cheese with 2 dogs, that’s me. I just tell them a large round and pick out 3 cheeses for me. They always do a great job. Oh, and be sure to ask for olives. Enjoy my town and be sure to eat your way through it! Maybe I’ll see you at the College World Series games or another great event that is always happening in Omaha. By “Hero” you must mean Hiro 88. All in all, some good choices for downtown. 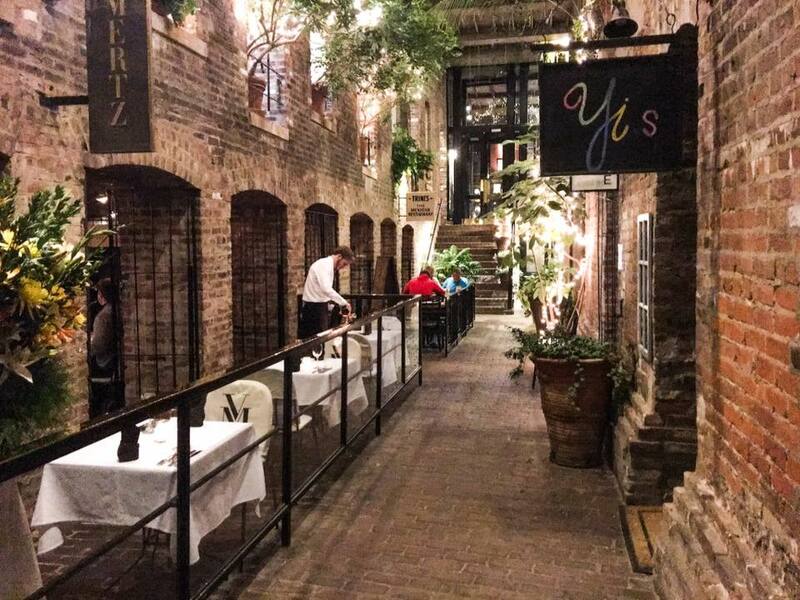 I’m also partial to Jazz, A Louisiana Kitchen, as well as 801 Chophouse, which are located on the same block, along Farnam Street. And Jackson Street Tavern seldom fails to satisfy with their eclectic menu and relaxing atmosphere. Beer aficionados can’t go wrong at Upstream Brewing Company at 11th and Jackson. Many excellent restaurants can be found beyond the downtown district, including Dario’s in Dundee, Avoli Osteria, also in Dundee, LaCasa Pizzeria in Midtown, Crystal Jade and Spezia in central Omaha, Twisted Cork in the Regency area, Jaipur and Little España in Rockbrook Village, Blue Sushi (various locations), El Dorado in South Omaha, and Louie M’s Burger Lust on Vinton Street. Bill, these are some awesome additions. We just had breakfast at Louis M’s yesterday, that green chili is the best on eggs!